Here at Heartcry we are committed to providing a safe, fun place where children can experience the love of Jesus. We learn about Jesus in creative ways, worship, and play fun games. We are committed to teaching the Bible and laying a foundation of Biblical truth in each child’s life. Join us in Kids Korral 1 (Newborn – 2 yrs. ), Korral 2 (3 yrs. – Kindergarten), Korral 3 (1st – 5th grade) each Sunday morning. We look forward to serving you and your family. 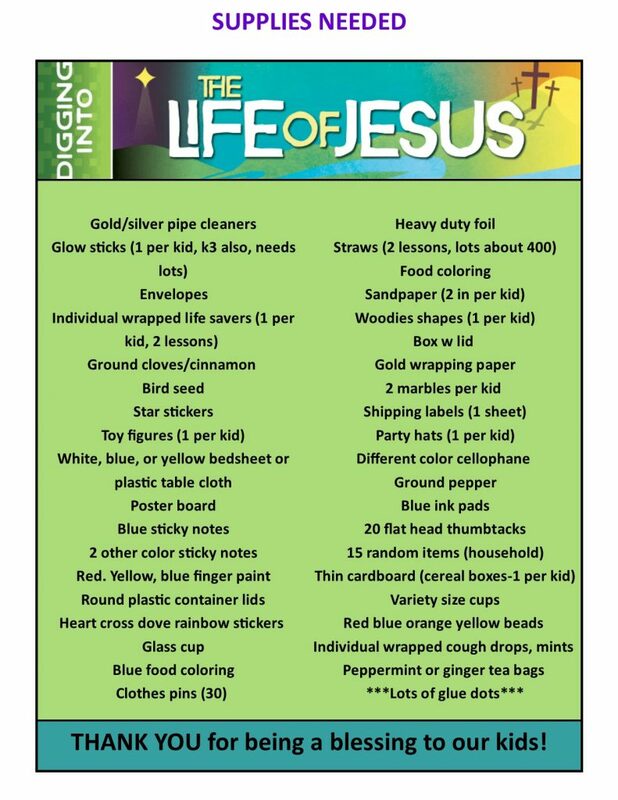 The Heartcry Kids Korral ministry is currently using a curriculum called, “Digging Into the Life of Jesus”. As we Dig Into our curriculum, our kids may need some new supplies. Below is a list of items you can contribute to help make every lesson a success. Stay tuned in future months for new supplies. Thank you! If you have a heart for the Lord and love kids, there is a place for you to serve here. From holding, rocking, loving and reading God’s word to our babies to teaching or assisting in fun ways in sharing truth to our children to set a firm foundation in their lives at an early age. Plus many more opportunities. For more information, contact Children’s Minister, Christina Danna.